A Whole30 diet meal plan and shopping list that will completely prepare you for your Whole30. With the right resources and accessible tools below, you will be eating the most delicious and nutrient-dense meals of your life. Get ready and be excited for what’s to come! A fabulous breakfast bowl recipe right here. Super easy to make and a great way to shake up your Whole30 breakfast game. Topped off with fresh herbs and a creamy tahini sauce, all on a bed of cauliflower rice. De-lish! This bacon & burger dish combines the smoky and savory flavors from bacon, grass-fed ground beef along with crispy sweet potatoes, greens and some baked eggs on top. A delicious way to start the day! With 25 grams of protein per serving, these tasty Paleo Pumpkin Spice Protein Waffles make for a satisfying breakfast or post-workout fuel. Can you believe this is actually a thing? This recipe is sheer genius, and you can customize the toasts ANY way you want. This recipe for acai bowls is packed with all kinds of nutrient dense ingredients like collagen peptides and real acai. You have been completely missing out if you haven’t tried out this trendy breakfast bowl. Paleo, healthy and oh so simple to make! A perfect balance of healthy fats and protein for a low carb, It’s filled with the most delicious marinated meat and the sauce on top is AMAZING! A quick, healthy and way too easy to prepare! This Whole30 curry is a serious meal planning game changer. It tastes absolutely delicious reheated and is the perfect lunch or dinner meal! This salad equals creamy, curried chicken and loaded up with yummy veggies. This salad is stuffed into avocados and topped off with fresh herbs and green onions. A delicious, quick and easy Whole30 lunch hack! These meatballs are creamy, delicious and the perfect recipe to batch cook ahead of time for the week. A delicious recipe with parsnips & carrots makes an easy one pan meal. Boneless baked pork chops rubbed in a sweet smokey seasoning, roasted veggies, and herbs to garnish. Ready in 30 minutes. These are easy to make with a homemade pickled pineapple relish, cabbage slaw with avocado cream, and Baja style fried fish all wrapped in a warm gluten free tortilla. So much flavor! Meet your lunch plans. Healthy whole30 Thai noodle salad with chicken, a delicious sauce, and kale. A family friendly meal, serve hot or cold! This paleo honey mustard chicken stir fry is quick and healthy! It’s a kid-friendly, 30 minute meal that makes great leftovers and perfect for busy weeknights! Just a perfect, seamless addition to your meal plan! A pad thai dish that you can feel good about eating! It’s served over a bed of zucchini noodles, loaded up with delicious chicken thigh pieces & topped off with a creamy, cashew butter based sauce. Delicious! Yum! This mango chicken is served over coconut cauliflower rice for a quick &amp; easy spin on take-out that is ready in 30 mins! Crispy chicken pieces slathered in saucy goodness- sign me up! This egg roll in a bowl is paired with a creamy sauce is an incredibly easy, quick and flavorful Whole30 dinner. This one bowl meal is packed full with protein and is low in carbs. The perfect addition to any Whole30 meal plan! These meatballs are so darn good. Creamy curry with a hint of lime makes this paleo dinner a favorite of the whole family. With so many fresh herbs inside, they are bound to be a crowd pleaser! These bowls are such a well balanced meal! They are filled with delicious pan fried fish, lots of veggies, cauliflower rice, topped off with a creamy cashew chipotle sauce! Sign me up for this quick, nutritious & delicious meal! This easy paleo hamburger soup is made in the slow cooker for a gluten free and whole30 dinner that the whole family will love! Makes great leftovers too! We also love that it’s made in a slow cooker. Set it and forget it! This meatloaf what will trump above the rest. The fresh basil inside really kicks this recipe up a few notches. It’s also so easy to make and full of all the flavor! Add it to the rotation, would ya? These fabulous Sloppy Joes are Paleo & Whole30 approved, with so much more flavor than you would get from the can and can be made in just 30 minutes. Is there anything better than creating a re-make of one of your favorite childhood memories? I think not! This loaded veggie salad with chickpeas and black beans is EASY to make and is packed with healthy ingredients! Great as a salad, wrap filling, party side or even a topping for chicken! This slaw recipe is the perfect addition to any meal! It is full of Vitamin C and fiber, thanks to the brussels sprouts, has plenty of potassium from the cabbage, and the hemp seeds bring a unique blend of omega-3’s and 6’s to the table. These are so creamy and packed with a fabulous cheesy flavor- you’ll never believe they are dairy free! They are also Paleo, Vegan and Whole30 friendly, and make a great side dish or meal along with a salad. Leftovers reheat well too! These crispy Whole30 Carrot Fries are roasted to crispy perfection with rosemary and tossed with savory crumbled bacon for a fun and healthy appetizer, snack or side dish! Paleo, Whole30 compliant and low carb. This side dish is kicked up a notch with the addition of this addicting sauce. Imagine indulging in a big bowl of these and remembering that they’re made from cauliflower- yum! A cauliflower rice that’ll change the way you feel about meal prep. It’s the perfect side dish for any protein and tastes delicious alongside eggs for breakfast. Healthy, easy to make and delicious! Easy to make crispy baked french fries with a spicy chipotle ranch dip that’s Paleo and Whole30 compliant! Serve these baked skinny french fries as a fun and healthy side dish, appetizer or snack. Hi there! 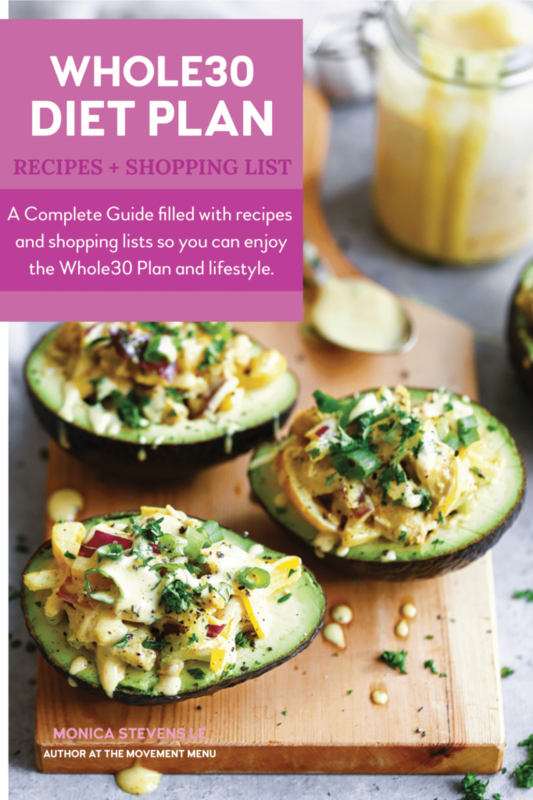 Is your shopping list for all of the recipes here or is it just standard list of things for need to start a round of Whole 30? Thanks! Hi there! The shopping lists I have provided with my other meal plans coincide with those recipes. Hope that makes sense! Hi! 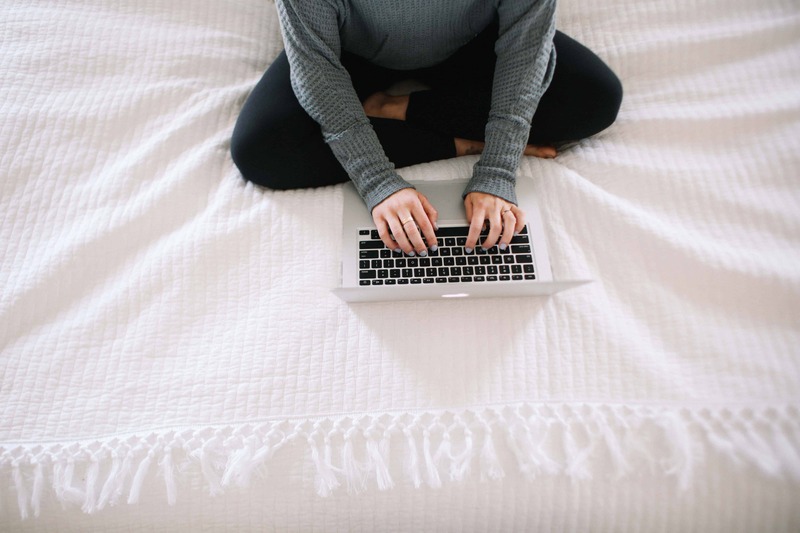 Do you have a list of the meal plan you followed? I got the shopping list but wondering what meal plan you did that coincides with the recipes you listed. Thanks! Hi there. What do you mean? The recipes on this blog post are all part of one giant meal plan. I have breakfast recipes, lunch, dinner and side dishes. Does that make sense? Which side dishes pair with which dinner? When looking at meal option A, I tried to pair them in the same order, but wasn’t sure that made sense. Pad Thai and Potato Salad?? Thanks! Hi there!!! Such a great question. I did not create the meal plan so everything pairs up. I have all of these recipes listed as options, not as meaning to be paired up together- does that make sense? A lot of the “main dishes” don’t need a side in my opinion- i.e. the pad thai!